The NEXIQ Blue-Link is a mobile vehicle interface that enables you to use either your iOS or Android devices (e.g., smartphones or tablets) to communicate with heavy duty vehicles for quick access to basic diagnostic information. 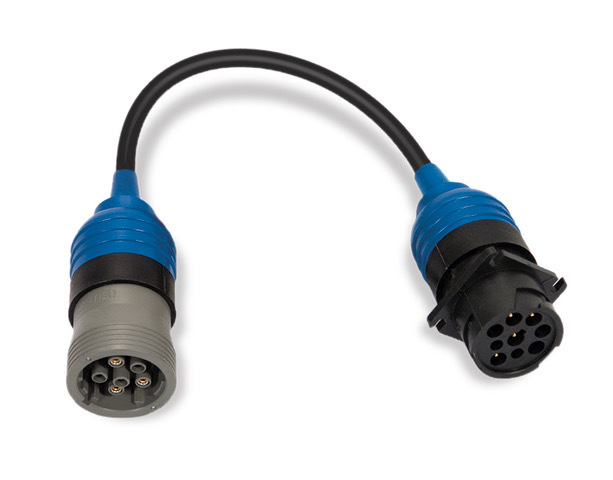 It plugs into the vehicle’s diagnostic connector, and provides wireless communication with on-board electronic control units. 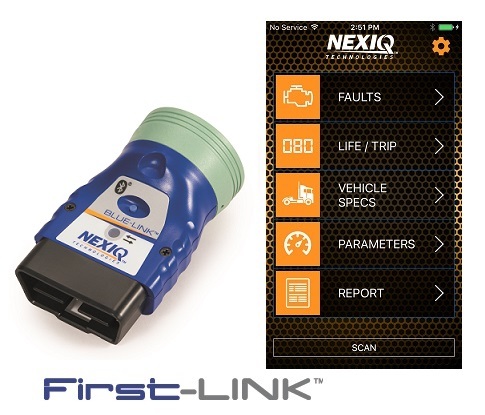 When used in conjunction with First-Link™, the new mobile app from NEXIQ Technologies, the NEXIQ Blue-Link becomes a triage tool for drivers and service technicians of commercial vehicles and equipment. First-Link provides features that help drivers connect their mobile devices to the vehicle’s diagnostic port; they also monitor the vehicle’s health status and increase the vehicle’s uptime. If, for example, a Check Engine Light is illuminated, the app assists the driver to understand the cause so that he can seek assistance if needed (i.e., service and repair). Later back at the shop, service technicians can utilize the information gathered by the application to aid in vehicle service and repair. Provides the ability to export vehicle health reports generated by First-Link™ to Navistar's OnCommand® Connection. © 2019 IDSC Holdings LLC. All Rights Reserved. USB-LINK, Pocket iQ, and WVL2 are trademarks of IDSC Holdings LLC. NEXIQ Technologies, PRO-LINK, and eTechnican are registered trademarks of IDSC Holdings LLC. All other marks are trademarks or registered trademarks of their respective holders. Pictures are for illustration purposes only. Specifications subject to change without notice.